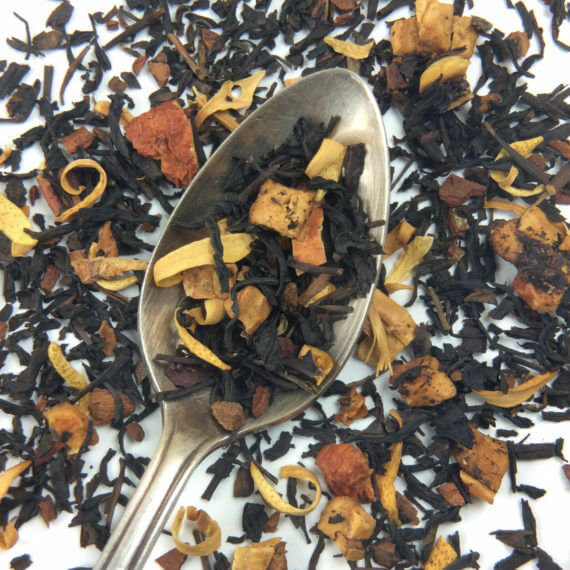 You’ve probably heard tea described as a ‘hug in a mug’ – but you won’t find tea that feels more like a hug than our cinnamon apple spice tea. 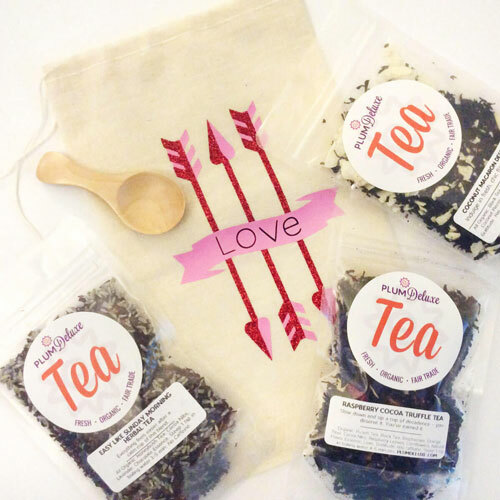 Hints of spice with fresh apple and cinnamon with a fresh black tea will help you feel warmed, supported, and present in the moment. 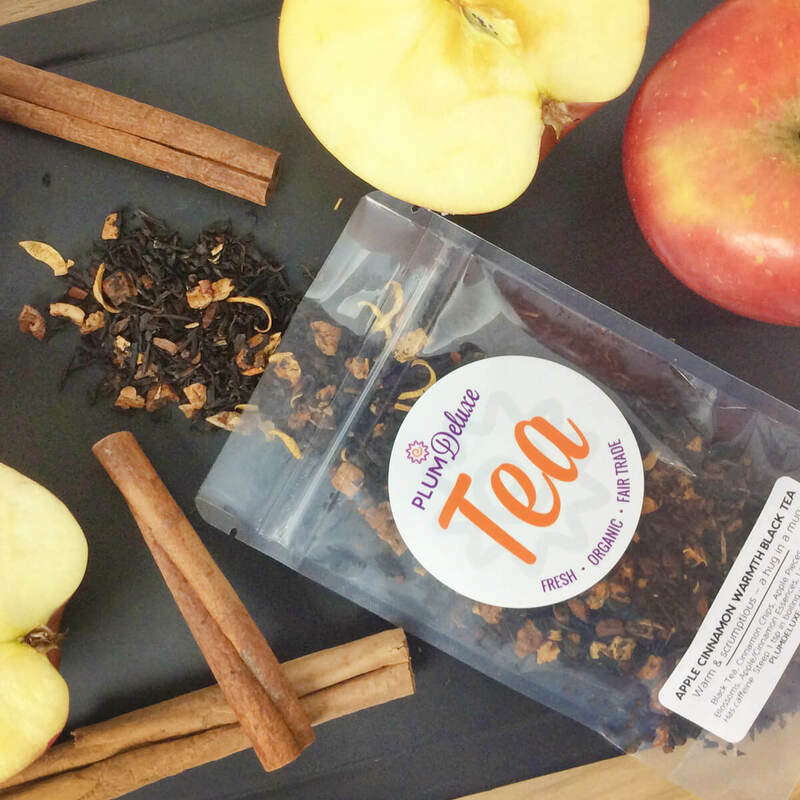 Think of it like apple cinnamon tea that tastes like a warm slice of mom’s coffee cake in a cup! I was initially concerned that this would be a tea that the cinnamon overpowered, but I was pleasantly wrong. The apple shines through, and it is reminiscent of a warm apple pie. Liked it so much that I ordered more to make sure I didn’t run out! 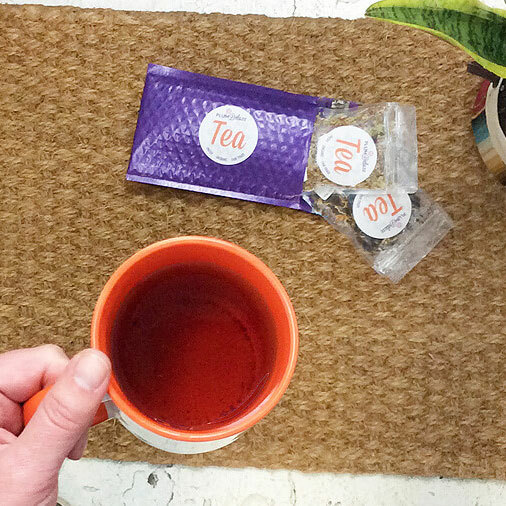 This tea is the perfect balance of sweet and spicy. This might be my favorite tea. It’s so delicious and warms me all the way to my bones. It’s so comforting and pairs with any snack and hobby. This is now my go to tea for any company that I want to brag about Plum Deluxe with. 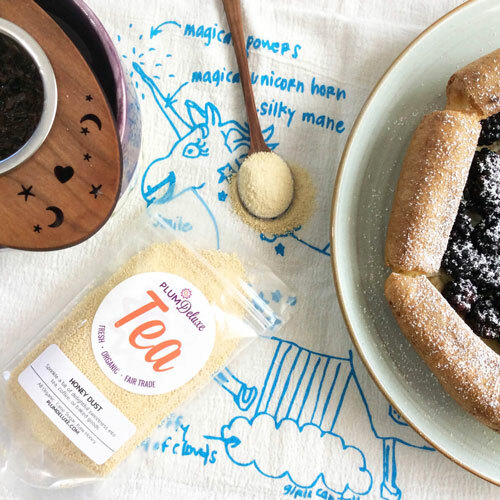 Great fall tea that is rich and full of flavor! Keeps you nice and warm inside. Yummmmm! 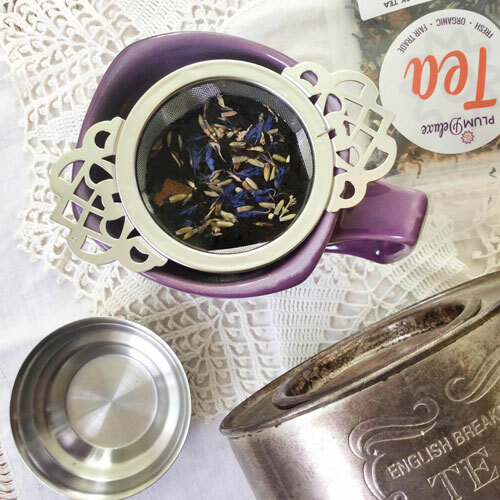 I was looking for a tea that would give a nice warm flavor with a little bit of sweetness, but without needing to be fancied up with other additions. This fits the bill perfectly. It has been a welcome addition to our cold mornings here, and I think it will be equally as enjoyable iced. Ingredients: Black Tea, Cinnamon Chips, Apple Pieces, Orange Blossoms, Apple/Cinnamon Essences, Love, Gratitude. Has caffeine.